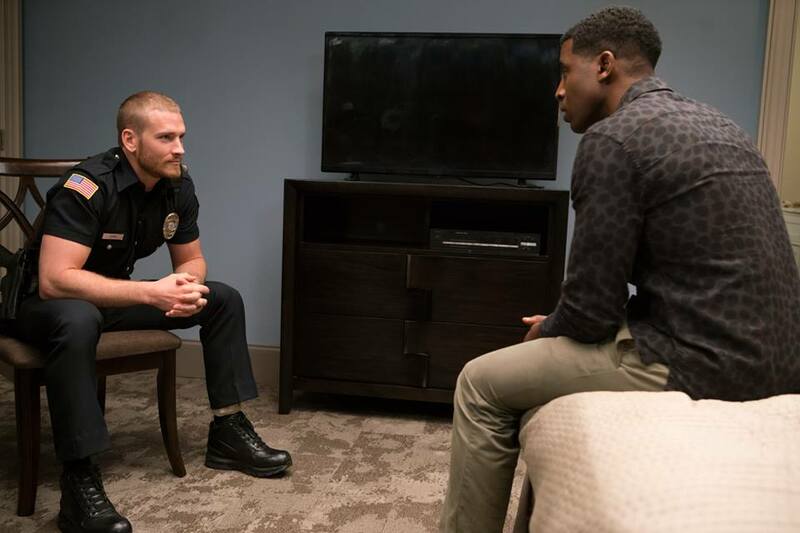 Things have only gotten worse between Justin and Jeffery on Tyler Perry's "The Haves and Have Nots." HOLLYWOOD—Last week on Tyler Perry’s “The Haves and the Have Nots” made it seem as if Jeffery had a huge target on his back literally. This week’s episode, ‘Power Struggle’ forced Jeffery to realize that he is indeed in a fatal attraction-esque relationship that could wind up deadly if he’s not careful. Madison took action to rescue Jeffery, just as it became apparent that Justin has a certain power over his former flame. Denial is one hell of a drug people. Candace was clued in by Mitch that Benny’s attack was not a result of his family, but Jim Cryer of all people. Candace already blames Jim for the death of her son, so the plan to exact vengeance is one that will be satisfying to say the least. Sarah was taken aback with Wyatt and his antics, but George’s arrival made everything better as she turned the young one over to her boss in an effort to take down Jim, Veronica, David and Katheryn. Considering Wyatt’s hatred for his parents, this should not be hard to make it happen. Veronica proved her prowess yet again, this time with those hot grits. Luckily, Leslie took a message and fled the scene before it was too late. The Ice Queen can be downright cruel; Alice, the maid, decided it was time to send a message to her boss, just as that organization that Veronica was hoping to team up with, did all to boil her blood. Can we say blatant racism and discrimination? I mean that scene was difficult as hell to watch, and only proves my theory more: Veronica or Jim have to meet the Grim Reaper before the season wraps. I was wondering when Landon would have to answer to Charles about that move he attempted to make on his boss last week. Well, Charles made it crystal clear with a vicious punch to the face, and a threat that should send chills down the spine of anyone who crosses him. That same sentiment goes for David Harrington. Madison concerned about Jeffery’s safety, informed David of Justin and his threatening ways. This prompted David to ask Jim to deliver him a favor. Hmm, looks like Justin is about to get a taste of his own medicine and it’s not going to end well America. Jim was up to his old tricks yet again, this time stopping by Sarah’s apartment and making threats. Too bad Jim has no idea that Sarah has already turned him over to the DA, and he got physical to say the least. She started to spill the truth, which only enraged Jim more. The way this season is shaping up, I’m under the impression that Jim will meet his maker. It is long overdue to say the least, and it’s time for the titan to take a major fall. Back at Hanna’s place, she showed her motherly instinct about Benny’s situation. He warned her about Derrick (and I’m with Benny on this one). Their conversation was interrupted by Mitch who informed Hanna that his family is no longer after Benny and that things appear to be square between the Malone clan and the Young clan. Benny learned from Mitch that he was aware of the $8 million in his bank account. Mitch had to spell it out for Benny that Jim had someone stab him as a warning. Hanna overheard the conversation and red was seen in her eyes. Mother Bear is not happy, so it looks like the battle is about to explode in a major way. Next week, sees Veronica and Katheryn go toe-to-toe, Justin learns a valuable lesson about the Harrington clan, and Hanna and Candace work together to take down Jim Cryer. Oh, this is the stuff fans have been waiting for. Until next ‘Temptation Tuesday’ “Haves and Have Not” die-hards!